Our phones are now an extension of ourselves. We shop, browse the web, order rides, and even make phone calls on our phones. They are constantly in our hands, and we are constantly looking at it. While our phones might not look too different, you still can change the lock screen wallpaper of your mobile phone to allow you to express your style and preferences. While there are many free options to choose from, the biggest problems are that phones come in many different sizes and outstanding style. sometimes the images you find online may not fit on your phone, which means it will be difficult for the entire image to be properly displayed on your phone. Or the lock screen wallpaper style is not what you want. 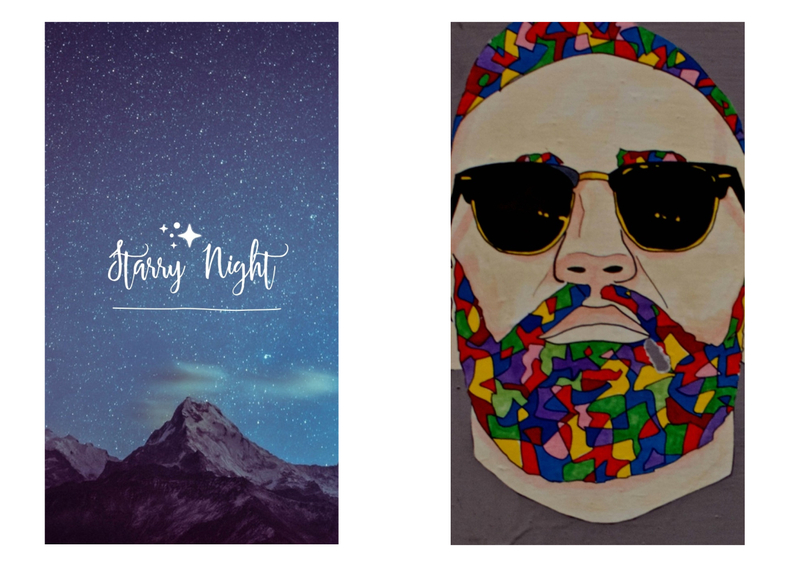 So, instead of spending hours trying to find the right image why not use Fotor and make your own lock screen wallpaper? How to Design an Outstanding Lock Screen Wallpaper? First, let’s talk about the mechanics of wallpapers and make sure we design a wallpaper that works well with your phone and won’t cause any eye strain problems to you. Let’s get started. 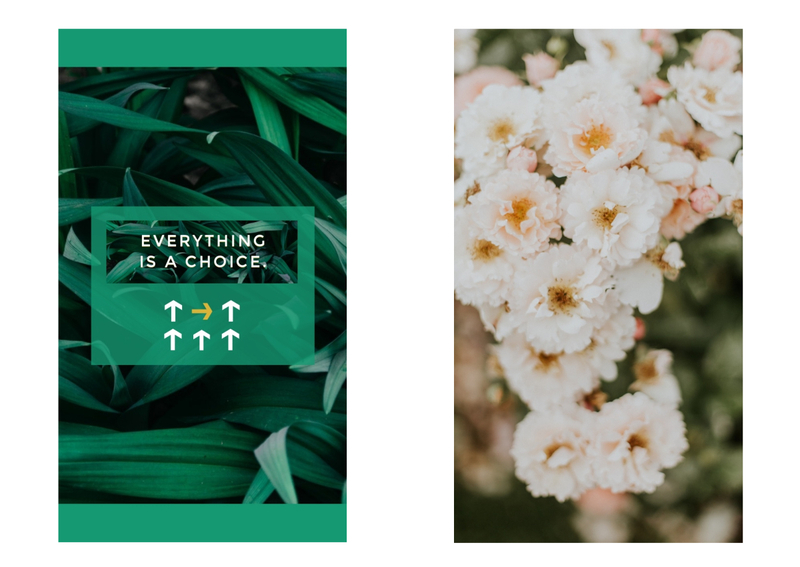 Like I’ve said, phone screens come in a lot of different sizes, which means sometimes images can’t be displayed in all their glory as a wallpaper, which can make it difficult to find the perfect one for you and your phone. So, how can you make sure you have the properly sized image for your photo? You can check your screen size in the Settings on your phone. 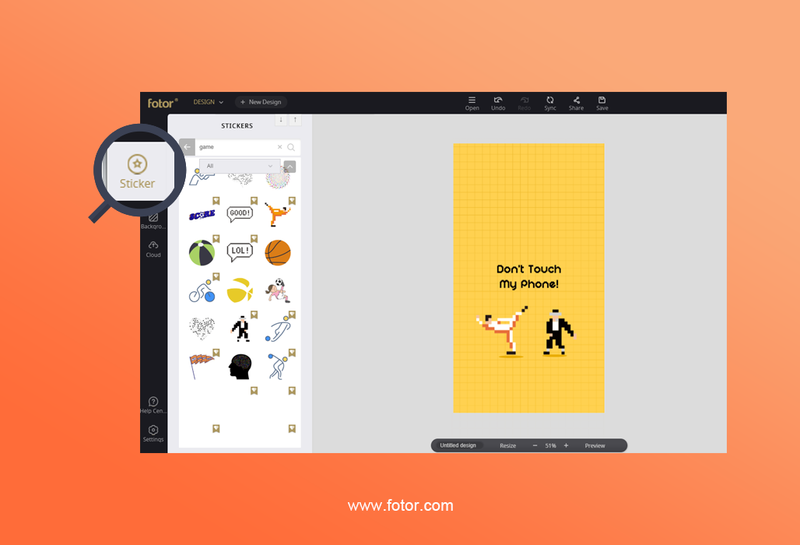 You can also just come to Fotor and use our template which will fit your phone. One of the newest phenomena that many suffer from in this digital age is eye strain. Eye strain is caused by hours of staring at a screen without any breaks. It can be made worse due to the screen emitting blue light. And most screens do emit this blue light. The shortest wavelengths in the visible light spectrum are not kind to our eyes, so that means whenever you pick a wallpaper, try to pick one that doesn’t have blue as a primary color to save your eyes from having to look at the screen. 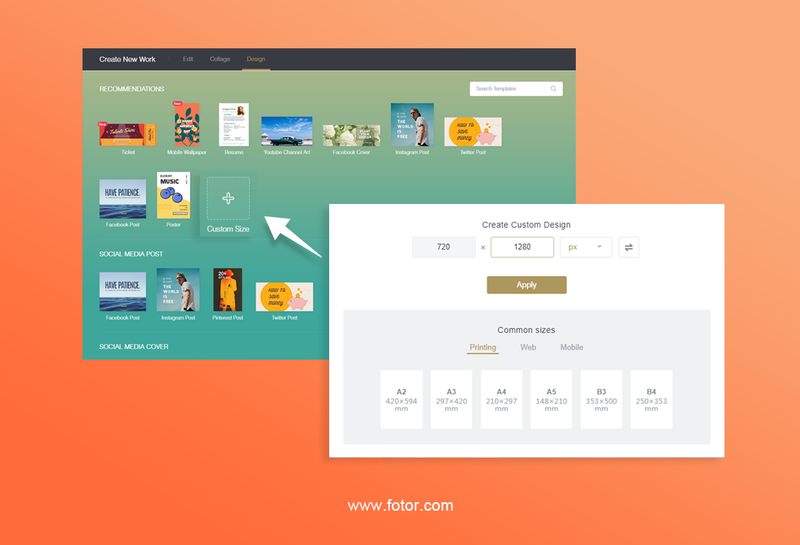 Now that that’s over, let’s talk about the different kinds of wallpapers we can create with Fotor! Not every day goes well. Sometimes you get beat up and are reticent the next morning to continue trekking through the difficulties you’re facing. Sometimes you feel weary after sleeping (or not sleeping enough) and need something to help motivate you to continue. An inspirational message is a perfect way to help you dig deep down and keep moving forward. You could put it up on the wall as a poster, or you could put it on your phone! 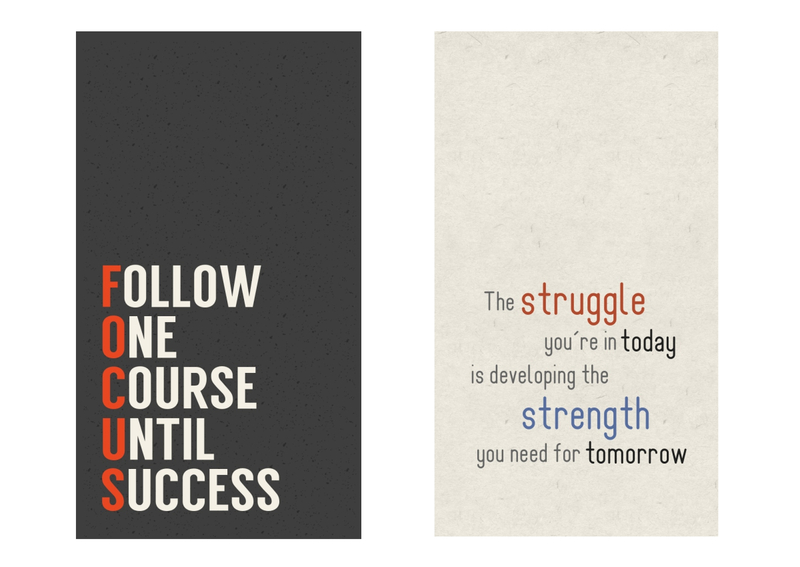 That list should give you more than enough inspiration to find the perfect inspirational wallpaper for yourself. Now, let’s move on to the perfect image to go along with one of these quotes. Let’s take an example with this quote “Only I can change my life. No one can do it for me- Carol Burnett” and make a custom mobile wallpaper immediately. First, choose a beautiful mobile background template, like this one, and I think it’s good. 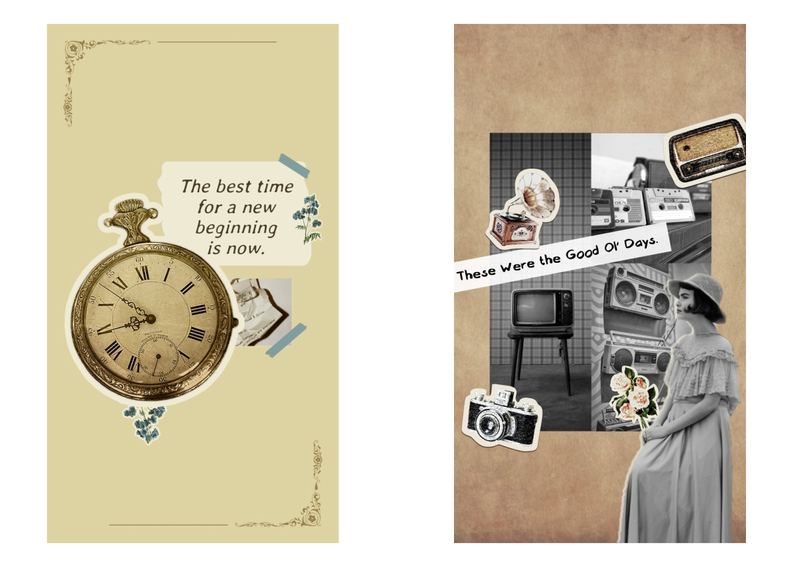 Second, change the text to the quote you like, and you will get attractive designs at once. This is a good wallpaper for a couple of reasons: it’s the right size, and the amount of blue is minimal, leading to less eye strain. For many, a phone’s wallpaper is the perfect place to place a portrait of someone you care for deeply: your significant other, family member, friend, or dog. Seeing those that you care for can benefit your mental state and relax you, so this type of wallpaper is a great choice. 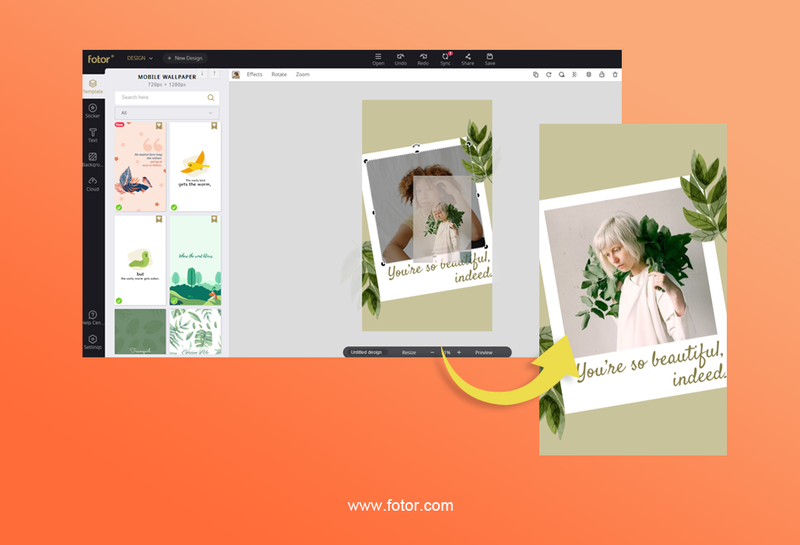 Using Fotor’s artistic templates gives you the ability to load your own pics and combine them with some of Fotor’s best features! It doesn’t take a lot to set someone’s photo as a background, but there are some things you can do to make it more interesting. The third type or wallpaper we’ll look at are those of scenes and landscapes. When looking for good ones of these, I always look for strong contrast, which can really make the background pop. I also look for those that look very surreal, as if they’re from another world. You can see that each of them are not only beautiful but also evoke certain emotions that will bring peace and calm when you take a second and look at it. Life is pretty stressful and has a lot going on, so taking a minute to look at something so serene can be very helpful. It’s interesting to create DIY mobile wallpaper yourself. 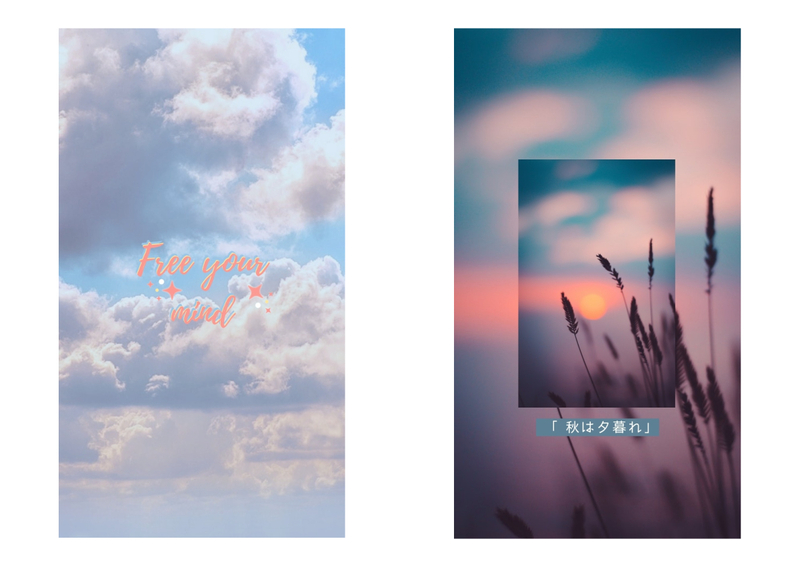 You can make a unique mobile background and create an optimistic message or feeling for yourself. 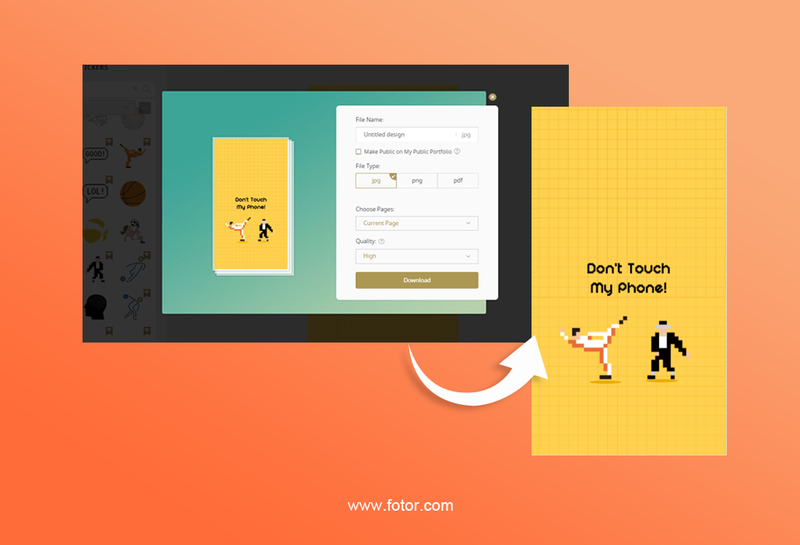 Choose Design, then choose Mobile Wallpaper or ‘Custom’ and input Your Phone’s wallpaper dimensions on Fotor. Here we chose the iPhone 5’s height and width. 2. 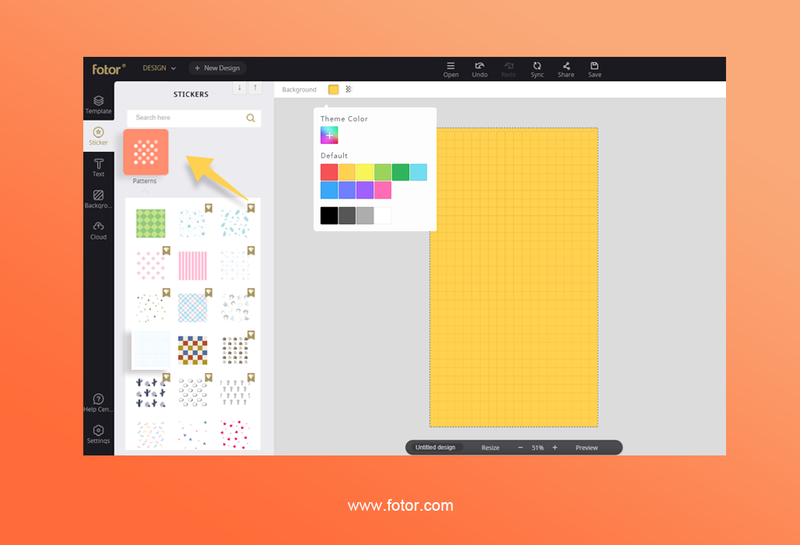 Then choose a background or pattern, you can choose a pre-designed template or upload your own. 3. Add interesting sticker and text. Regardless of which you choose, your imagination will be the key to making it aesthetically pleasing and fitting for your phone and style. We provide a lot of cute stickers like cosmetic, animals, flowers or vintage items, you can choose the one you like and use them in your design! Place them as you see fit and have a truly rockin’ phone! 4. The last step is to export the image. The funny and eye-catching mobile wallpaper is generated immediately without any effort. 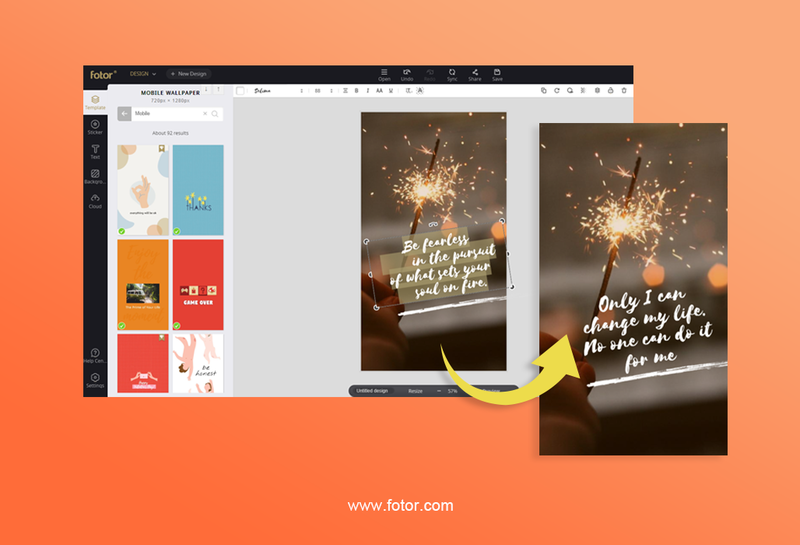 As you can see, it’s really easy to use Fotor to make your own wallpapers. 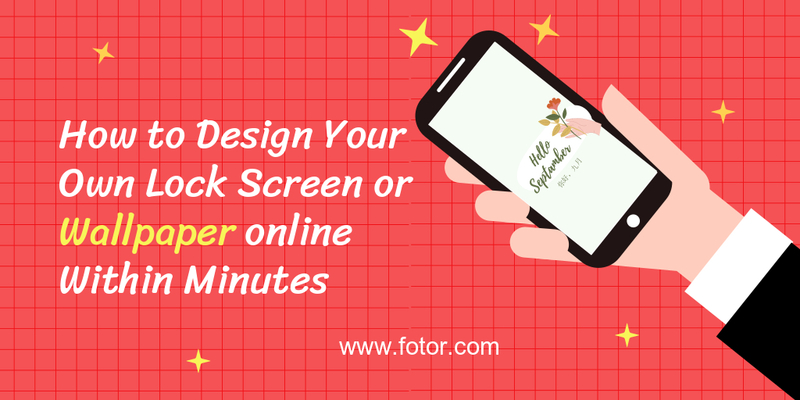 That means you can easily and quickly make any kind of wallpaper you want in just a few clicks. 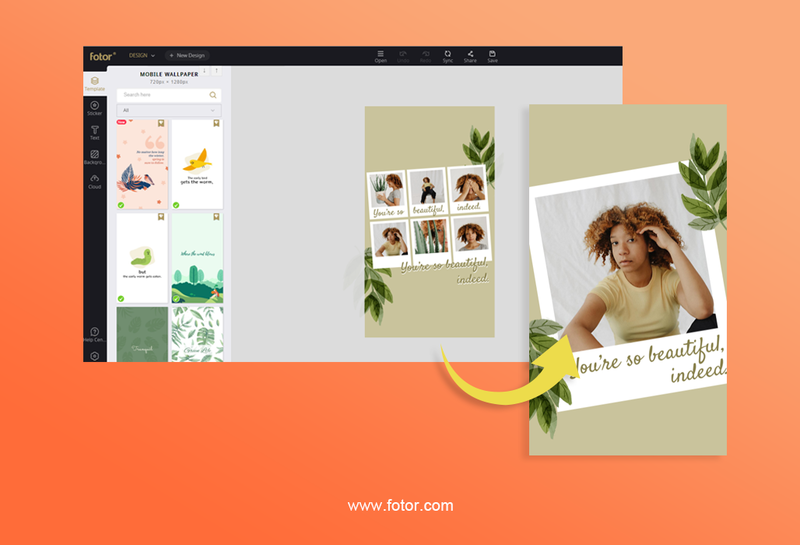 Next time you’re looking to make a wallpaper, take 5 minutes and come to Fotor and then you can brag that you created your own wallpaper and watch people be so impressed with your tech-savvy and artistic side.